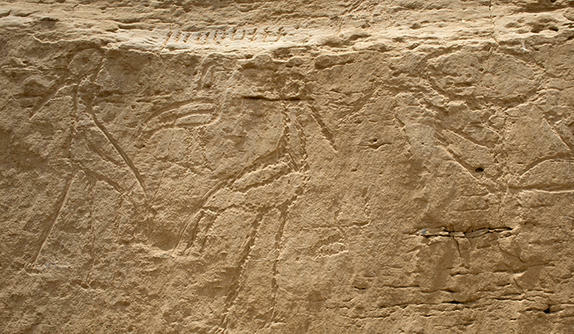 Every few months, the Nile Scribes will bring you summaries of the latest ideas and discoveries in Egyptology, both from the field and the lab. We’ll introduce you to the newest archaeological finds or recently undusted manuscripts being rediscovered in museum collections, plus other theories stirring in the Egyptological Zeitgeist. The Egyptian Ministry of Antiquities publishes a very helpful round-up of recent discoveries, events, and projects in Egypt in an accessible PDF format. The latest issue was published in July 2017 (version: English or Arabic). Link to original article published by L. Evans in JARCE 52 (2016). Link to the original paper published in Nature 8 (2017) – doi: 10.1038/ncomms15694. NS: Some of us here in Toronto are acutely aware of boxes filled with dinosaur bones that were hidden away in storage in a well-known local museum. In Egypt, numerous blocks have recently been ‘rediscovered’ belonging to a temple from the reign of Thutmose I. These blocks were hidden away in a tomb on the Theban West Bank, where they were kept in storage. NS: A ceremony was recently held with notable figures (incl. 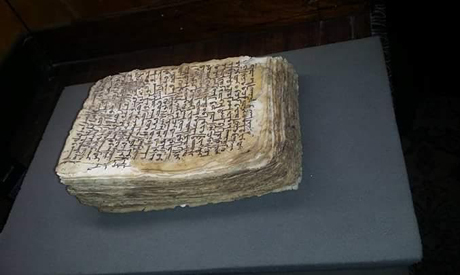 Greek politicians, Coptic priests) to announce the rediscovery of a manuscript from the sixth century AD. The manuscript contained excerpts from a medical text of the well-known Greek physician Hippocrates. We encourage you to sign up for our mailing-list so you can stay abreast of the latest news in Egyptology- from the latest book releases to reviews of movies and lecture summaries. Let us know in the comments which latest discovery has been your favourite! Ref the painting from Beni Hassan, the other “animal” is a tjesm- the red hunting dog.